In China, 13 million people are living with no access to any social welfare or legal identity, as they don't have hukou or household registration. Among them, 60 percent were born in violation of the one-child policy. For these people, a recent notice from the State Council that guarantees their right to hukou is expected to solve their problem finally. But this is no happy ending, how the problems that still remain - especially related to fines - will be solved is still unclear. Li Xue's name has appeared in lots of places recently, as the media reported on her experiences and her family's long-running fight for her rights as a citizen. But one place where it cannot be found is on any official document, as Li Xue lacks a hukou (household registration). Li Xue was her family's second child, born in violation of the country's family-planning policy. 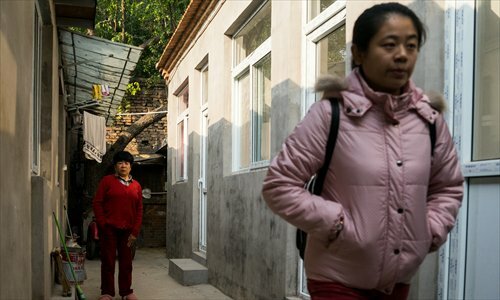 Her parents were not able to pay the 5,000 yuan ($760) fine, known as a "social maintenance fee," and as such Li Xue was never granted a hukou by the Beijing municipal government. People like her, known as heihu (black registration), cannot access any State-provided services such as education, social welfare or healthcare and as such are marginalized in society. To integrate these people into society, the State Council said on January 14 that eight kinds of people without hukou will be able to register without any preconditions as long as they can present the necessary documents. This came shortly after another loosening of restrictions, as from January 1 it became legal for all couples to have two children. This has been welcomed in the media, with many saying that this will allow people that have been denied the basic rights of a citizen to "walk out of the shadows." There are an estimated 13 million heihu in China, around 60 percent of whom were denied hukou because their families didn't pay the fine after they were born in violation of the one-child policy. "This will break the link between hukou and fines that has existed for decades," said Yuan Xin, a professor at Nankai University and expert in family-planning policy, adding that he thinks the notice will solve a problem left over from a more restrictive time. But in reality, however, it will be long time before heihu are a thing of the past. Most local governments, who are in charge of granting hukou, are waiting for the central government to lay out more precise regulations before making a move. The parents of heihu are also cautious, as the notice doesn't mention anything about whether they will still have to pay fines. Li Xue didn't get a hukou when she was born because her parents could not afford the fines. Most "black children" have a similar story. For decades, many local governments limited access to hukou to punish violators of the one-child policy and to press parents to pay fines. Before 2014, families that had a child outside the rules needed to pay a fine of between two to six times their annual income the previous year. The regulation was changed in 2014, now those who have more children than they are permitted need to pay a fee that is at most three times the local average annual disposable income, which is still very expensive. This makes it particularly pricey in big cities - a Beijing family must pay a fine of around 400,000 yuan. Yuan Xin explained that local government's enforcement of family planning regulations is a key factor in how their overall performance is assessed, so they have a major motivation to ensure people follow the policy. 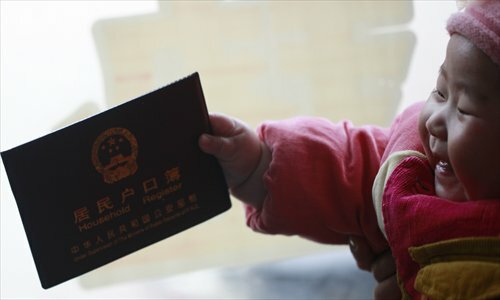 This is despite the fact that there is no legal basis for denying children hukou. "Linking fines to hukou was a way to punish those who violate the law," said Yuan, "it is not fair to punish children for adults' violations. Now it is a good thing that hukou and fines are being separated." After the State Council's notice, Guangdong and Liaoning provinces responded by officially delinking fines and hukou registration. Several provinces including East China's Shandong and Fujian implemented such policies as early as 2014 to tackle the heihu problem. In these places those that are born outside the rules can register for a hukou without having to first pay fines - although the fines must be paid eventually. But as the complicated task of registering the millions of heihu will require a variety of bureaucracies to work together, most regions in China are waiting for guidelines to tell them how to do it first. While the notice seems to solve Li Xue's problem, she is not excited about it. After decades of fighting for her legal right to a hukou, the 23-year-old finds it hard to be optimistic. "I haven't seen a sign [of getting a hukou] yet," Li Xue told the Global Times. Without a hukou, she has never spent a day in school and has had to use her relatives' ID cards to go to the hospital. Since her birth, her family have been struggling to get her a hukou, through petitions and legal means, over and over again. "It is how my 23 years have passed," she said. Growing up with this struggle, Li Xue taught herself law. The regulations are on the tip of her tongue when she talks, showing her familiarity with them. When asked why her family did not just "buy" a hukou for her later, she replied, "First of all, that is illegal," adding, "I want to get a hukou legally." She cited the hukou regulations, which say all Chinese citizens should have hukou, without mentioning any preconditions. "Its link with the fines is illegal." Earlier last month, she handed in a letter about her situation to the Ministry of Public Security, before the heihu notice came out, but hasn't received a reply yet. Wu Xiaofang, who has a 2-year-old second child without a hukou, said she asked a local police station whether her child was now eligible for a hukou. She has received no response. Kang, an official with a grass-roots family planning department in Beijing, revealed to the Global Times that the capital's government is also waiting for more specific regulations. "At present, the public security department in Beijing are doing a headcount and there certainly will be more regulations," Kang said. The State Council does not mention whether heihu will have to pay fines after getting their hukou, and this uncertainty is muting the joy that parents may have otherwise felt at this announcement. "What if they still collect fines? Then all that has changed is the order in which we pay," said one parent in a WeChat group for parents to discuss heihu issues. Some parents in heihu discussion groups were excited when they learned that some "black children" already got hukou without a fine in Shenzhen, Guangdong and were disappointed to find out that a parent in Zhejiang Province was still fined after his second child was registered. "If the fine follows after we get hukou, then the problem of heihu remains unsolved," a parent named Lin said. Actually, the Guangdong family planning department has stated that "unhooking" hukou from fines will not affect the collection of fines from families in violation of law. If this is established as a national rule then many will simply see the proffering of hukou to heihu as a trap to trick previously hidden violators into exposing themselves. "Some worry that once they have their children registered, the relevant department will have proof of their violation of law and thus collect fines," said Wu Xiaofang. As it is now legal for all couples to have a second child, people who had a second child just months or years before the policy change are more reluctant to hand in "social maintenance fees." "I will never hand in a cent! I would get my child a hukou if there are no fines. Anyway I will not be the first one to try. If the first person that tries gets fined, I will choose to keep my child 'black,'" said a mother surnamed Zhou. But Wu Xiaofang has other priorities. Her daughter should go to kindergarten this September. If she cannot get a hukou by then, they will have to send the child to a private one. "Without a hukou, the child's life will be affected a lot. Now that there is this policy, I hope it could be realized soon," said Wu, "I could accept it if the fine could be reduced or is just collected symbolically"
The new policy has led to new questions. After the two-child policy came out, Wu and other parents in the same situation protested in front of the family planning authorities headquarters in Beijing, demanding their fines be waived. The notice about heihu is no exception to this confusion. "Among the families who have a second child, some have handed in the fine and some handed part of it, and some haven't paid any of it. The situation is rather complicated," said Yuan, adding that it would be hard to make everyone happy. Knowing it is a hard nut to crack, nearly no local government, including the ones that have already begun allowing heihu to have a hukou without paying fines first, have implemented clear regulations about "social maintenance fees." Some just follow the old standards while some have stopped collecting fines. According to Wu, some parents in her discussion group have turned to the courts. "Some have received notices demanding they pay fines after getting hukou," Wu said, "but since everyone is waiting for specific regulations, the courts either postpone the punishment or the hearing." "We are waiting and meanwhile thinking, if the new policy is really unacceptable, we will all take legal measures, hoping to attract attention together," Wu said. As Yuan understands, the law on "social maintenance fees" has not changed. "The fines are based on a law that has not changed. Legally speaking, those who have children outside the rules still need to pay the fees." "Even though people are less willing to have children today, China, with so large a population base, still needs to regulate its population growth," Yuan added. But he suggested the collection of fines be better regulated when it comes to the size of the fees and how to collect the money. As a matter of fact, this is not the first time the central authorities have told local governments to delink hukou registration from "social maintenance fees." But these policies were largely ignored, partly because withholding hukou is the main way local governments compel people into paying such fines. But Yuan is optimistic about the latest developments, which come hot on the heels of the changes to the family planning law. "It shows that law will increasingly become the main tool in carrying out family planning policies. People are increasingly conscious of safeguarding their rights." Now that hukou has been delinked from fines, Yuan suggested that a credit system be set up to urge and help people who violate the family planning law to pay fees. "New regulations will gradually come out. It is not realistic to solve old problems very quickly. The policies need careful weighing," he said. Believing in the law, Li Xue said after she gets her long-awaited hukou, she will pay the fines as long as they are reasonable and legal. "And I hope to study for qualifications related to law and find a job in this field," she said.